Charlemagne (Carolus Magnus, Charles the Great) as king of the Franks (768-814) conquered the Lombard kingdom in Italy, subdued the Saxons, annexed Bavaria to his kingdom, fought campaigns in Spain and Hungary, and, with the exception of the Kingdom of Asturias in Spain, southern Italy, and the British Isles, united in one superstate practically all the Christian lands of western Europe. In 800 he assumed the title of emperor. 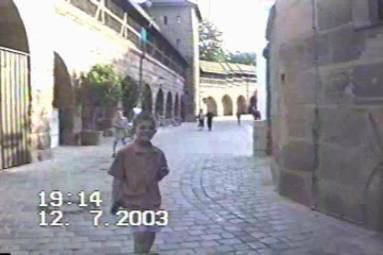 (He is reckoned as Charles I of the Holy Roman Empire, as well as Charles I of France.) Besides expanding its political power, he also brought about a cultural renaissance in his empire. Although this imperium survived its founder by only one generation, the medieval kingdoms of France and Germany derived all their constitutional traditions from Charles's monarchy. Throughout medieval Europe, the person of Charles was considered the prototype of a Christian king and emperor. 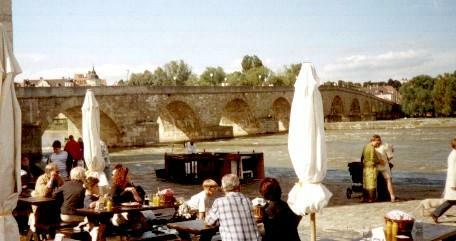 This bridge, built from 1135 to 1146, is the only stone bridge in Europe still in use today. 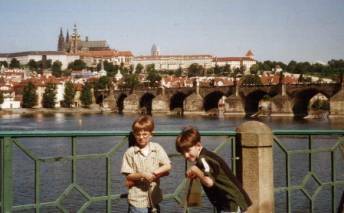 It is a miracle of medieval engineering serving as a model for many bridge building projects (like the Charles Bridge in Prague, so named after the king of Bohemia and Holy Roman Emperor Charles IV in the 14th century). 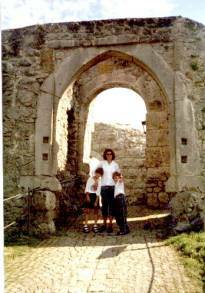 Three times crusaders launched from this location to their objective in the Holy Land. 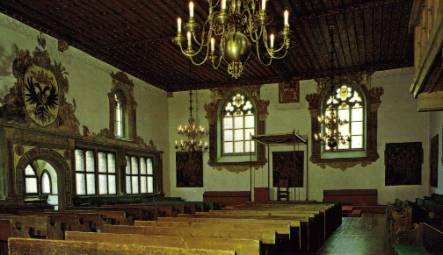 Balthasar Hubmaier, an anabaptist burned at the stake in 1528, preached at St. Peter's in Regensburg. Construction on the church began in 1276. 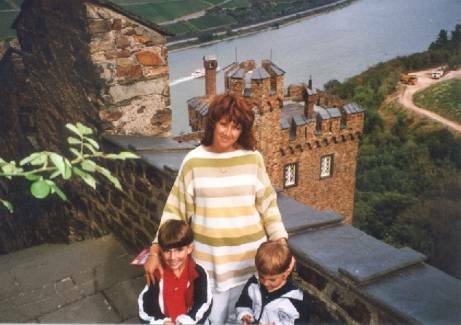 Hubmaier's wife was drowned in the Danube. Though we may never know who was the primary architect of the Tower of Pisa, we do know that construction on the tower started in 1173. Its leaning to one side is attributed to its foundation: sandy soil, which has settled unevenly over the years (lemessee...what did Jesus say? "And every one that hears these sayings of mine, and does them not, shall be likened unto a foolish man, which built his house upon the sand," Mt. 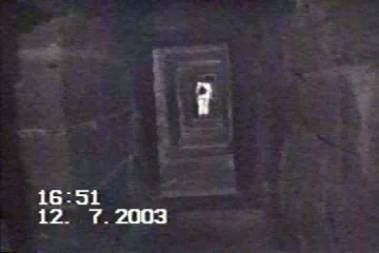 7:26). Some engineers have succeeded in bringing the tower back a few degrees to an upright position. Of course, they stopped before they got to 90 degrees. 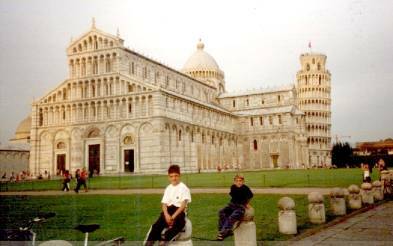 After all, how could Pisa survive without all that revenue from tourism? (Galileo refuted Aristotle's claims on proportionality and free-fall at Pisa). 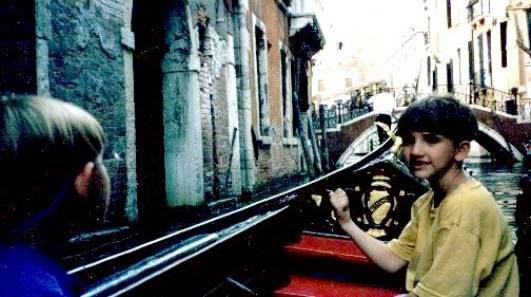 Gondolas, originally and since used for passengers, date back to the 11th century. It took on a sort of Baroque ornamentation during the 16th century, reflecting the architecture, art, and music of the day. During that same time, ornamental ironwork on both ends (ferro) and the coverings for the passengers (felse) started to show up and became more ornate. Embellishment of the boats continued until the Doge handed down a decree (17th century) requiring all gondolas be painted black, so as not to encourage the glorification of wealth. 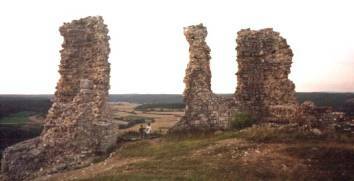 Various castles were built in Europe during the Middle Ages. 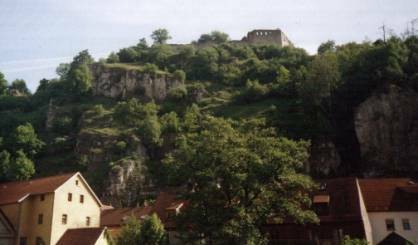 In 1529, Ulrich Zwingli rested here at Kusel Castle during his trip to Marburg. The plague (a bacterial disease spread by rats and fleas) first came into contact with Christian Europe at a Genoese trading settlement on the coast of the Black Sea. 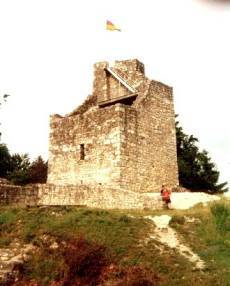 In 1346 the settlement of Caffa (on the Black Sea cost) was besieged by Kipchak Kahn Janibeg (a Mongol Kahn) in an attempt to drive out the Genoese. He was successful, in part due to one of the first documented usages of biological warfare. During the siege the Mongol's camp was hit by an outbreak of bubonic plague. Realizing the need to both dispose of the bodies and shorten the siege, the army catapulted the infected bodies of his soldiers over the walls, and into the city of Caffa. Within months the citizens were infected by the disease and fled the city, carrying plague with them. By January of 1348 the plague had reached France and Africa. By the end of 1349 the plague had reached as far as Norway, Scotland, Prussia, Iceland, and Italy. In 1351 the infection had spread to Russia. When it was over, Europe had lost nearly one-third of its population. 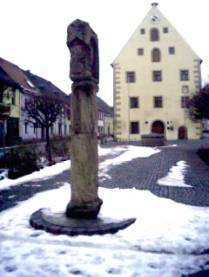 This is a plague column in Grafenwoehr, Germany (1496), commemorating the end of the plague. In 1245, mid-way through the Holy Roman Empire, Emperor Friedrich II bestowed on Regensburg the right of self-government with the privilege of "setting up a Mayor and Council." It remained a free imperial city until 1803. From 1663 to 1806 the city was the seat of the Perpetual Imperial Diet and met in the Imperial Hall. 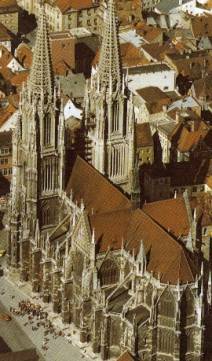 The Holy Roman Empire dissolved in Regensburg in 1806. 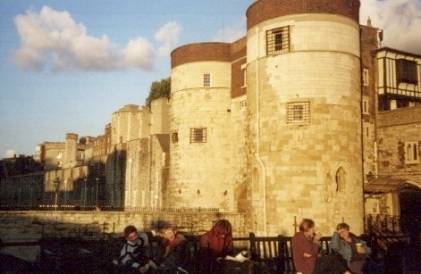 Construction on The Tower of London was begun in 1066 by William the Conqueror. 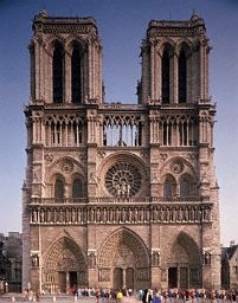 Construction on Notre Dame began in 1163 during the reign of Louis VII, with Pope Alexander III laying the foundation stone. Bishop Maurice de Sully is credited with the idea of replacing the Romanesque church occupying the site--the Cathedral of St. Etienne (founded by Childebert in 528). Construction was completed about 200 years later in ca. 1345. 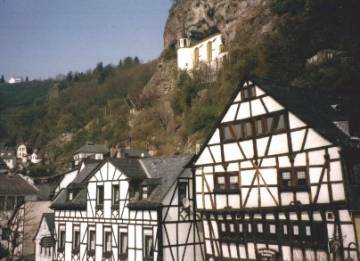 The possession of a castle on the Rhine was a source of influence and power, and enabled its owner to play an important part in the events of that time. 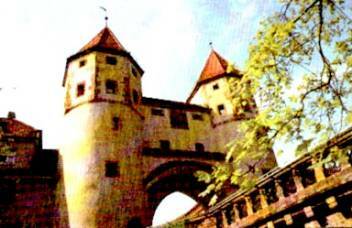 Fuedal lords (supported by German kings and emperors) built castles on the Rhine in order to profit off the toll fees. 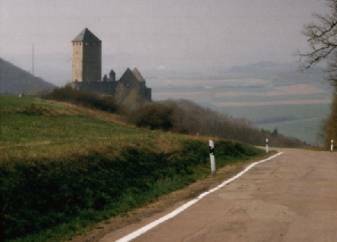 At one time, some 30 castles dotted the Rhine from Mainz to Cologne. 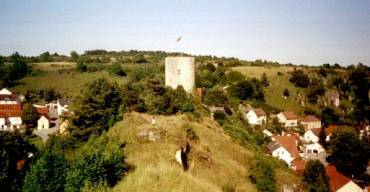 Sooneck castle (11th century) later became a sanctuary for robber knights in the 13th century (stifling trade traffic on the river).